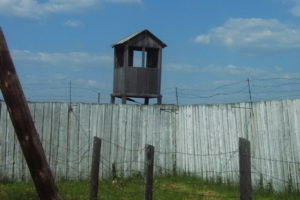 In 1995, in the Perm region of the Russian Federation, a unique memorial museum of the history of political repression was created in the former camp for political prisoners Perm-36. The core of this camp is the only surviving camp complex of buildings from Stalin’s gulag era. For nearly 20 years, the Memorial Centre Perm-36 not only preserved and restored the dilapidated camp construction, but was engaged in research, collecting, exposition, exhibition and education activities. In 2014, with the political changes in Russia and the change of the governor of the Perm region, Memorial Centre Perm-36 was removed from the museum and all the buildings and the facilities of the former camp, which are state property, were transferred to establish a state institution that has drastically changed the mission of the former site. No longer is it a museum devoted to the repressive forced-labor practices of the Stalin era, but one that presents the gulag as a vital component of the Soviet victory in World War II. Despite this change of events, the Coalition continues to work with the original founders of Perm-36, assisting them in enhancing and expanding their work, which is currently focused on the development of a website documenting gulags and sites of detention.